The number of people seeking unemployment benefits fell last week by the most in more than three months. 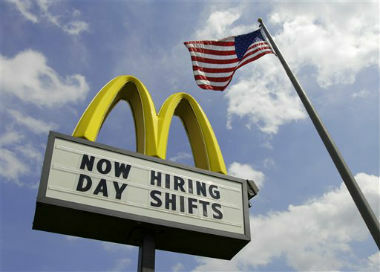 The figure was a hopeful sign one day before the government releases the April jobs report. WASHINGTON (AP) — The number of people seeking unemployment benefits fell last week by the most in nearly a year. The figure was a hopeful sign that hiring could pick up in coming months.